With a strong focus that emphasizes on simplicity, harmony and well-balanced classic comfort food, Din Tai Fung has introduced a new breed of dishes in pursuit of perfection and commemorates its 12 years of success in Singapore. Twelve new dishes were launched exclusively at the flagship restaurant in Paragon Orchard which underwent renovations in July 2015 to increase its seating capacity via area extension. The restaurant now seats over 200 and comprises three VIP rooms for an exclusive, private dining experience. Ranging from appetisers and buns, to mouth-watering steamed dumplings and desserts, there’s a total of 12 new dishes that took Din Tai Fung a year-long process of extensive research and development (R&D), multiple taste tests and quality checks before finalising them for launch. Five of the twelve new dishes will appeal to the vegetarians, and will satisfy even the pickiest eaters while being nutritious. This fibre-high and calorie-low appetiser is a delicious and healthy way to start a meal. 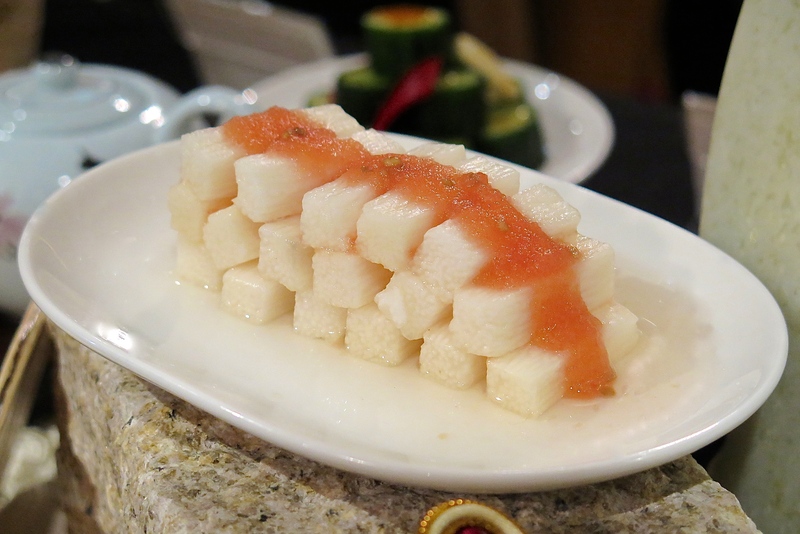 Known for its healthy benefits such as aiding digestion and building immunity, the Chinese Yam is steeped in Japanese plum wine for 12 hours for a hint of sweet-sour tang and topped with a cherry tomato dressing for another hit of fresh sweetness. Served chilled as an appetiser, the Taiwanese Black Fungus is blanched to retain its vitamins, crunchy texture and glossy black colour. Then lightly tossed with ginger strips and plump wolf berries that are imported from Ningxia China. 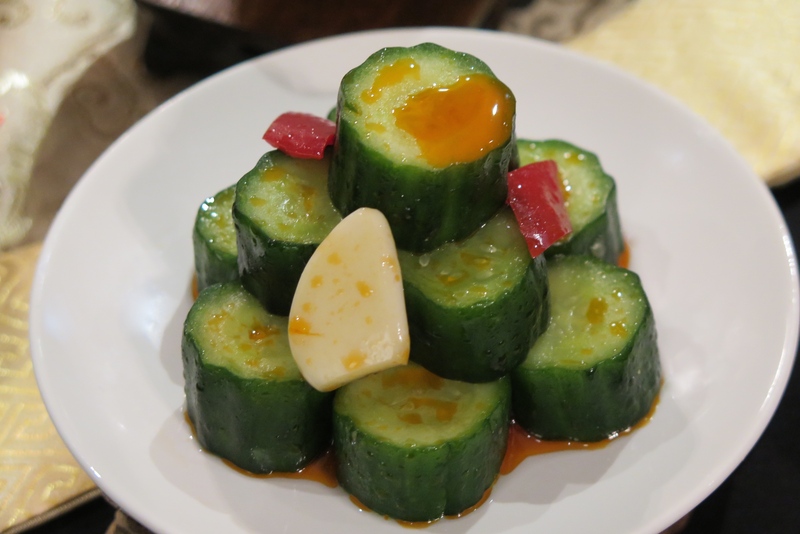 Simplicity is key to this pairing of fresh Japanese cucumbers, garlic and chilli oil. 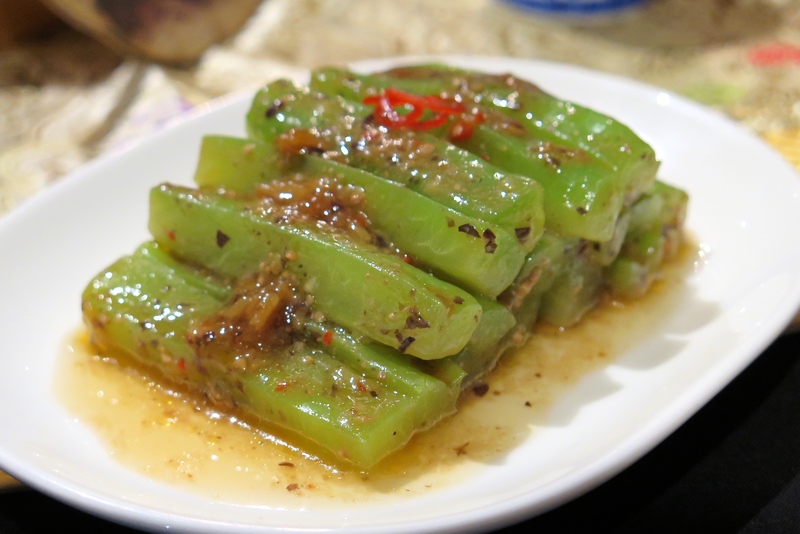 Slightly spicy, the strong dressing enhances the slight sweetness of the cucumbers. 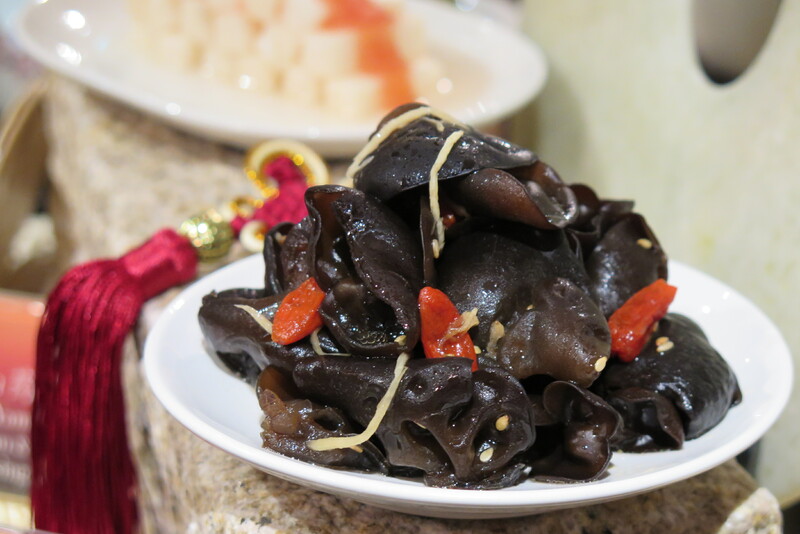 Another chilled appetiser comprises bitter gourd that has been generously marinated with black bean sauce. The robustness of the marinade complements the vegetable’s slight bitterness well. Each piece of bitter gourd is identically sized to ensure a consistent cooking process and resultant texture. 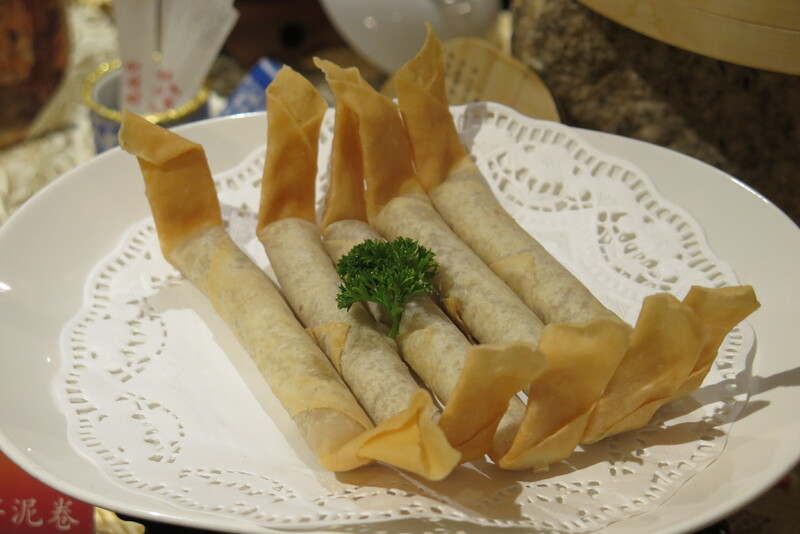 Deep-fried to golden perfection, a bite into the crispy spring roll reveals a warm and aromatic filling. Smooth and fragrant yam paste is combined with soft yam strips to create a slightly textured mixture. Bite into a light, crisp coating to reveal a delicate tofu with a hint of crunch from the fresh water chestnuts, mushrooms, sweet carrots and black fungus. 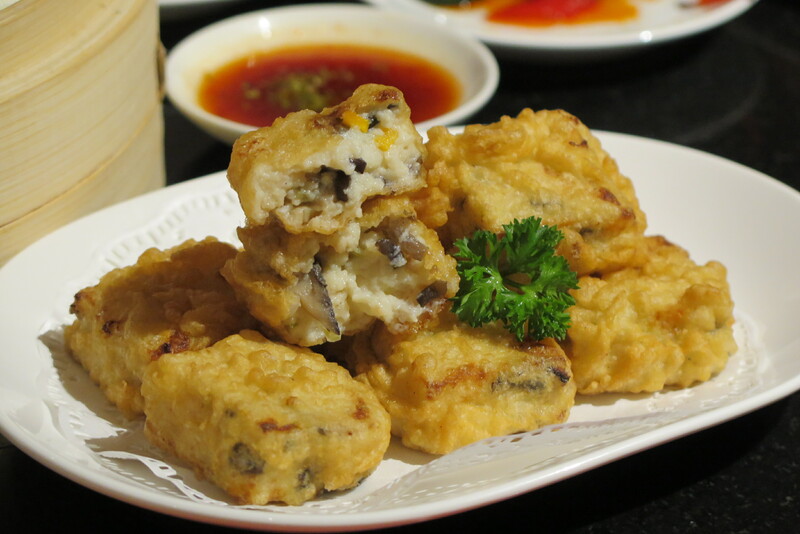 The tofu is deep-fried at an optimum temperature to achieve a golden brown crust and moist & soft texture within. Served with a sweet chilli sauce, this handmade tofu snack is delightfully addictive and popular. Four varieties of mushrooms are lightly stir-fried and then tossed in the finest Italian-imported truffle oil to create a rich and satisfying umami flavour. 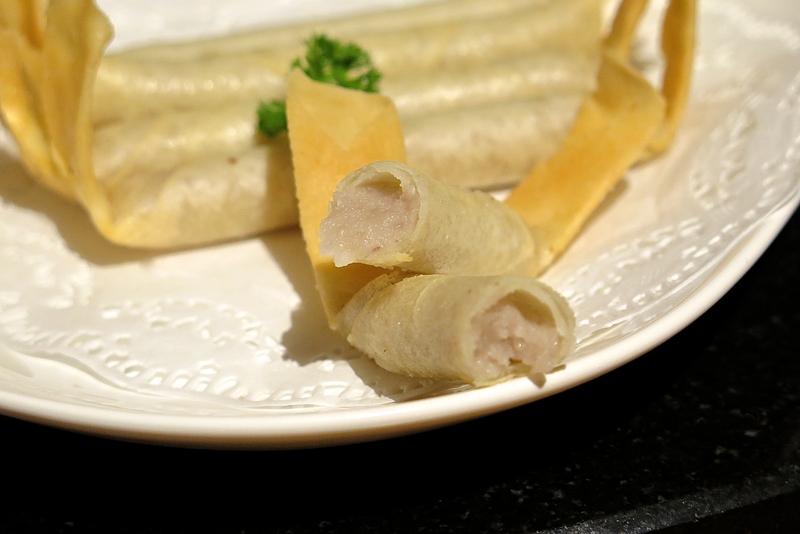 The aromatic filling is wrapped in translucent dumpling skin and finished with Din Tai Fung’s signature 18-folds. This dish is best savoured without any additional condiments. 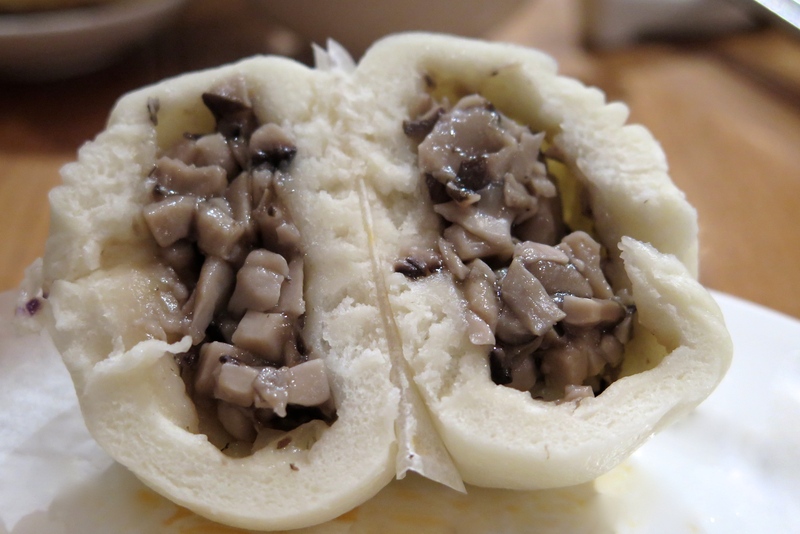 Assorted mushrooms are lightly stir-fried to retain the texture and flavor, then tossed with exquisite Italian truffle oil, resulting in a delicious steamed bun. 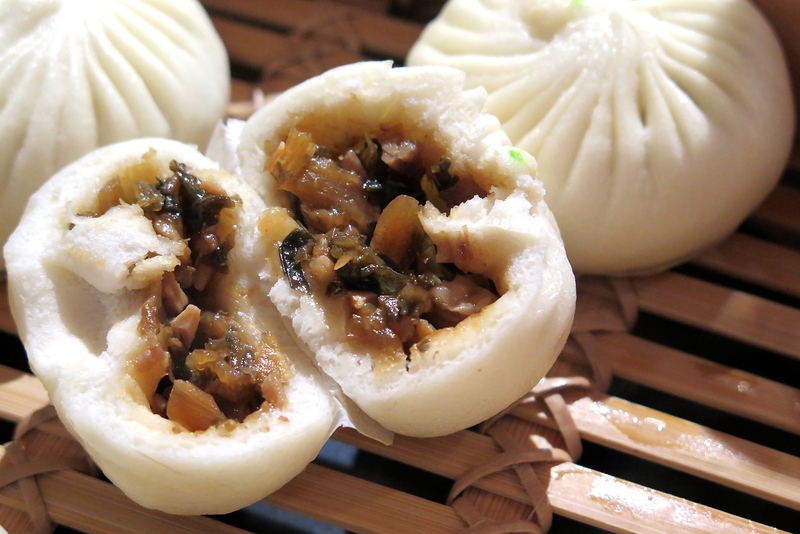 These steamed preserved vegetables buns features a distinctive piquant taste, and well-balanced with a blend of luscious premium pork belly and pork loin. The filling of pork belly is braised for over 1.5 hours in a rich braising liquid, enhanced with a hint of sweetness by way of malt sugar, then combined with leaner pork loin to create a balanced filling that is juicy but not oily. The taste is further enhanced with the addition of rice wine and sweet rice vinegar. 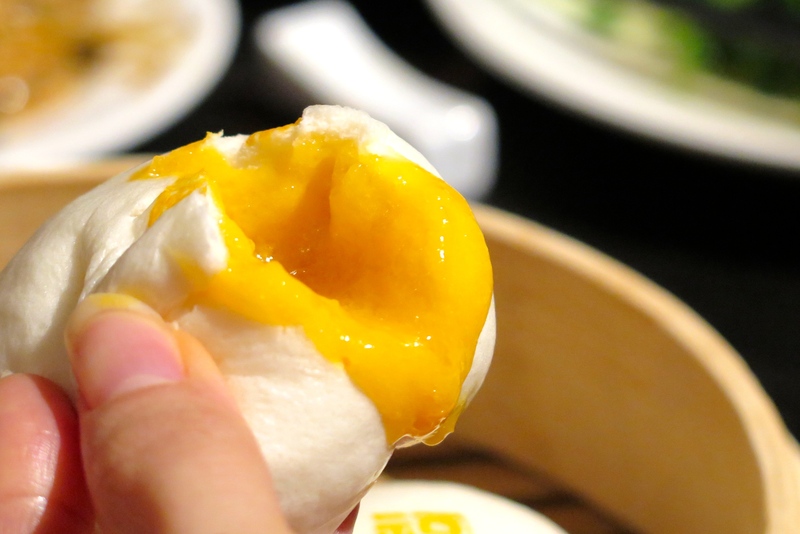 Handmade buns filled with fragrant and delicious golden-yellow flowy lava custard that oozes out with every bite. The salted egg yolk adds a savoury depth, resulting in a perfectly balanced sweet-savoury custard. 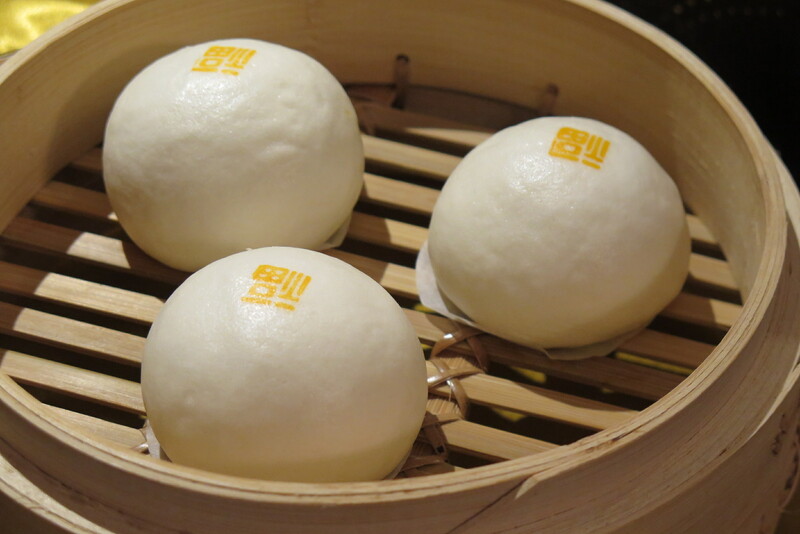 Each steamed custard bun is finished with a golden prosperity character stamped on the bun to signify well wishes for the diner. 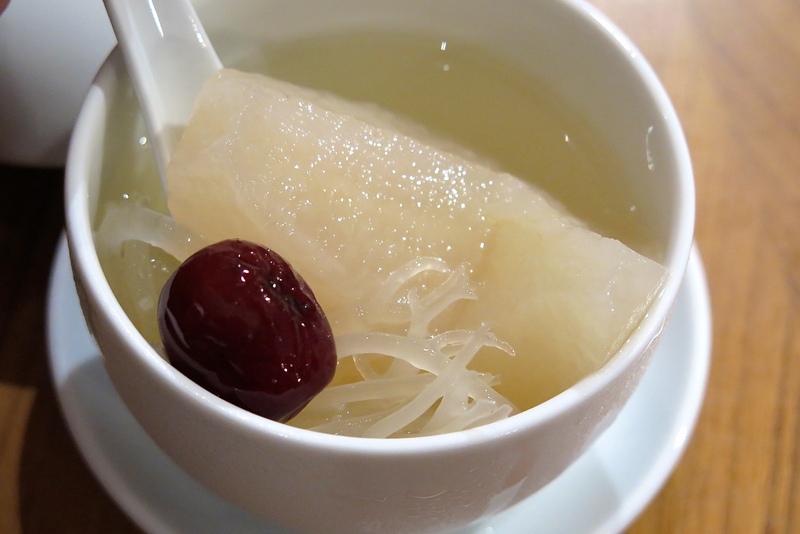 Doubled-boiled to extract the natural sweetness and nutrients of the ingredients, this cooling dessert soup is perfect for Singapore’s sunny climate. Mildly sweet, the nourishing snow pears aid in removing “body heat”. Plump dates provide a delicious source of protein and reduce fatigue, while coral seaweed comprises collagen and helps to improve digestion, making this dessert a great choice to top off a heavy meal. This luscious warm bowl of mellow sweetness is a classic favourite. 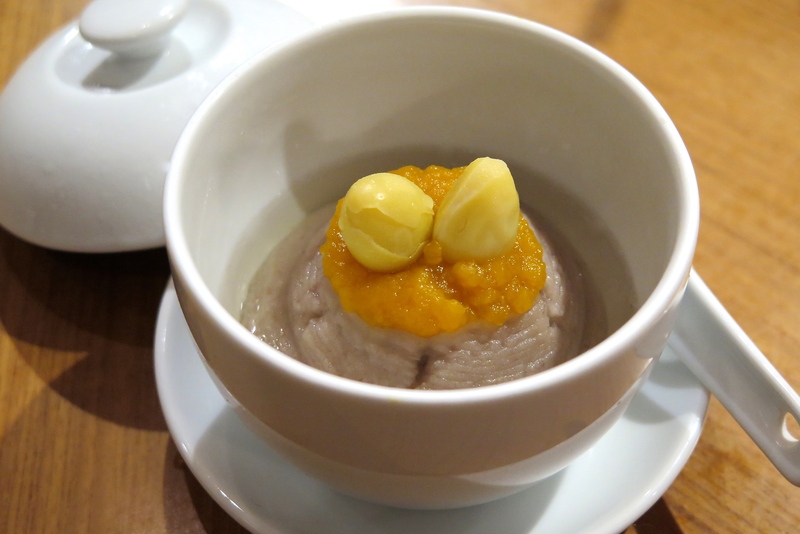 Finely mashed yam is topped with sweet pumpkin and gingko nuts, then dressed with fragrant pandan syrup. *Operating Hours may vary for each restaurant. 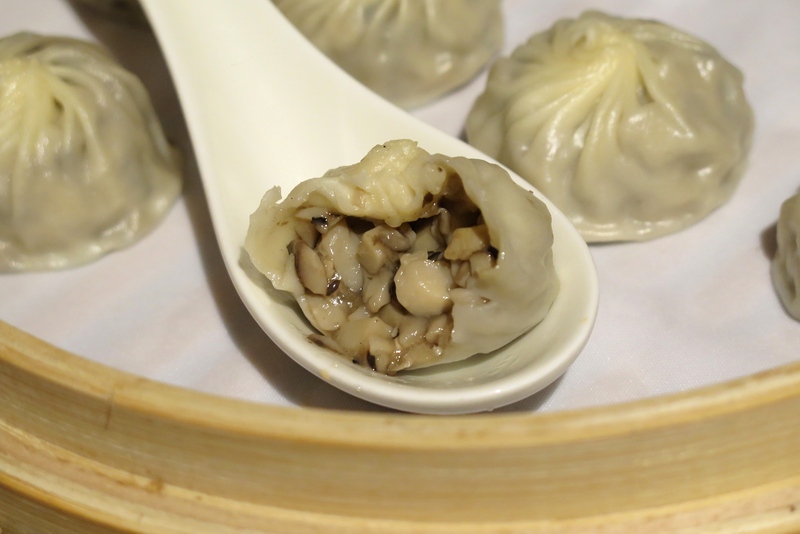 Visit www.dintaifung.com.sg for more details and locate Din Tai Fung restaurants nearest to you. Brizo @ Park Hotel Clarke Quay – Ahoy! It’s Seafood Night!